How to Make a Slab Pie – Pie doesn’t have to be round, you know? In this lesson, Ken Haedrich – Dean of The Pie Academy – shows you how to make slab pie, baked in a jelly roll pan. Check it out. I know it’s a little late to reflect on such matters, but I’ve often wondered who came up with the bright idea that pie should be baked in a round, deep pan. 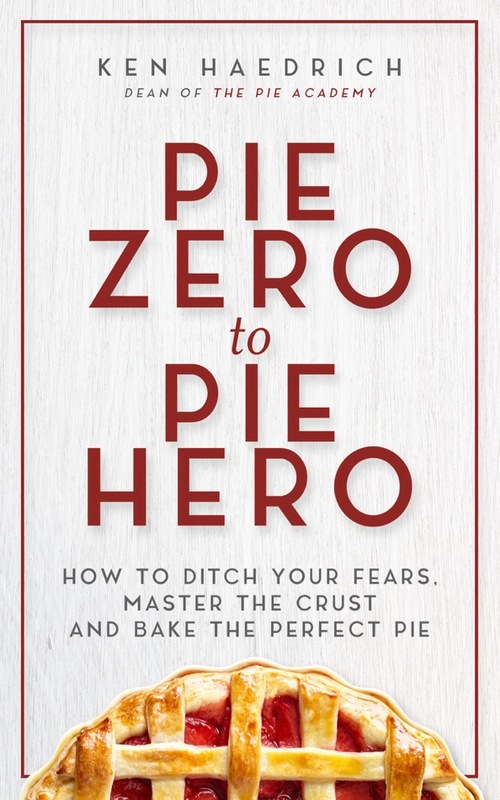 Indeed, you could easily make the case that your typical pie is much too thick and yields – by necessity – acute triangular wedges whose pointy tips can barely support their own weight. 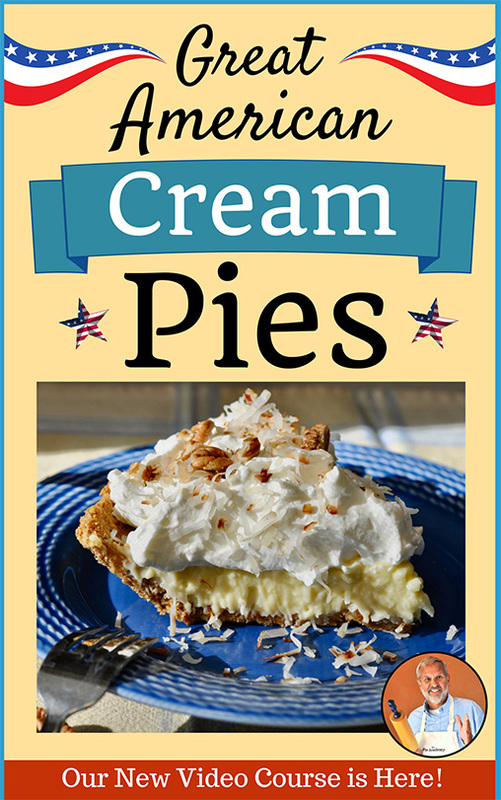 For the generous amount of filling they contain, round pies make too few servings. Not to mention the fact that round is a famously inefficient use of available space. When was the last time you saw a round closet or refrigerator? Enter the slab pie. Putting aside the rather indelicate name for just a moment, a slab pie – one baked in a rectangular pan – has much to commend it. Call me a square, but I like the fact that it can be cut into neat, perfectly proportioned rectangles (or squares.) 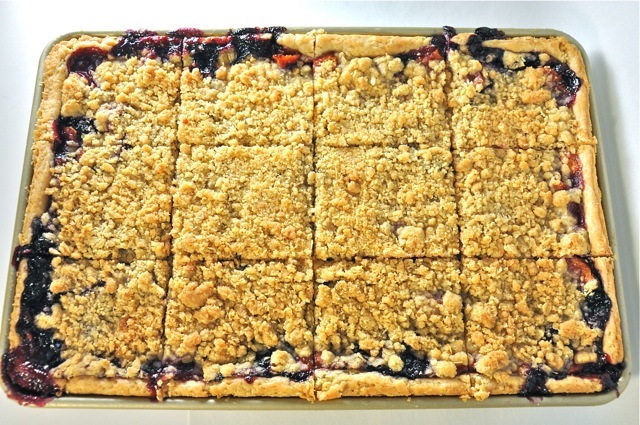 And slab pie – this one, at least – provides a more judicious balance of crust, fruit filling, and crumb topping than a thick round one does. 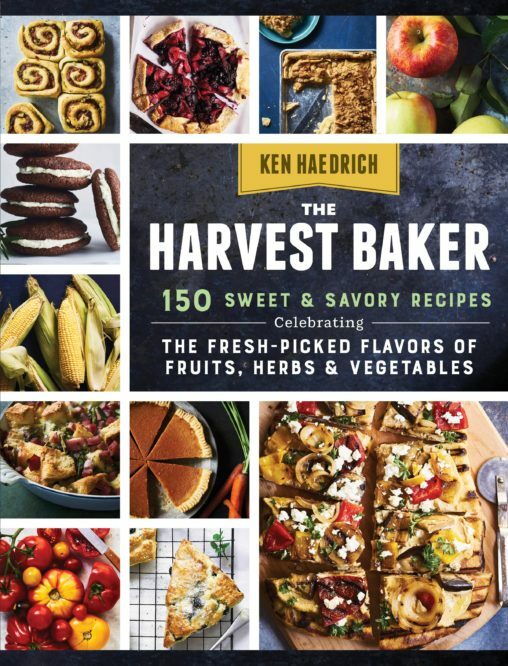 Maybe best of all in this season of family reunions and other large gatherings, it can easily feeds 12 to 15 appreciative souls, rather than a mere eight – a trick it manages to pull off with virtually the same amount of fruit filling as a round pie. I rest my case. If there is one necessary ingredient for slab pie, it’s the pan. You will need a jelly roll pan that measures 15-inches by 10-inches by 1-inch high. Don’t use a different size and, in particular, don’t fudge on the height. Unless, of course, you’d rather be inside cleaning your oven this weekend instead of enjoying this pie with friends at the big get together. If you don’t have one of these pans already, go ahead and buy one. You’re going to need it often, once you fall in love with slab pie. Here’s my favorite, and the one I own. 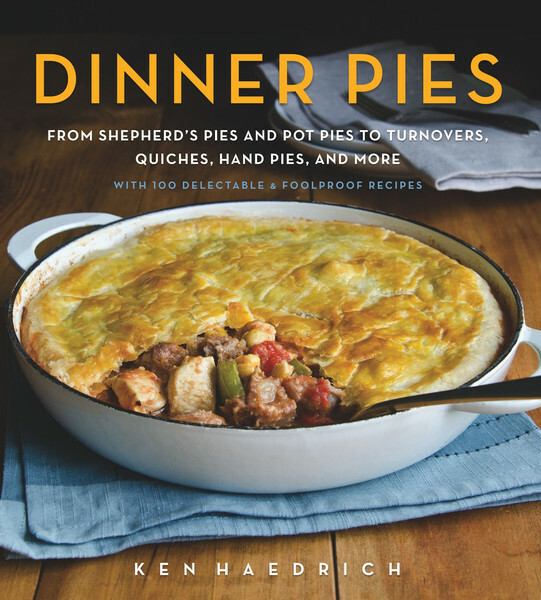 Next you’ll need a big batch of Slab Pie Dough, essentially a double recipe of pie pastry. You can make this by hand if you like, but it’s ten times easier if you use your food processor. 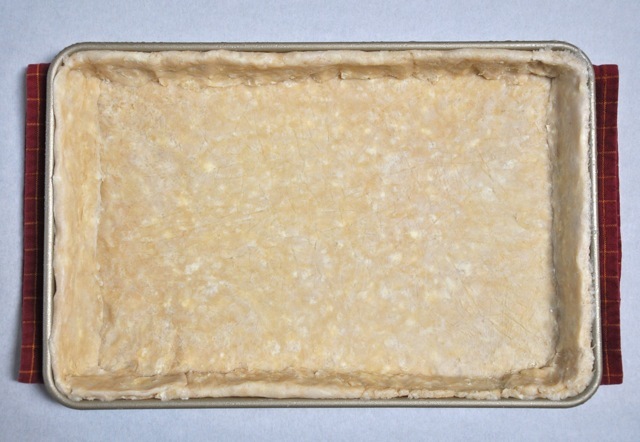 The dough goes into a plastic bag, gets shaped into a rough rectangle, and then refrigerates for a couple of hours. You roll it out, line the pan with the dough, and end up with something that looks like this. While the dough chills, you’ll have plenty of time to make your filling. As I’ve done here recently with several of my pies, we’ll precook the filling. Why? 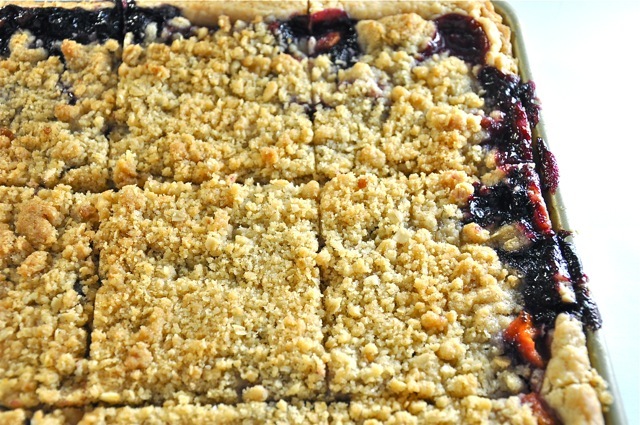 Because baking a crumb topping on top of uncooked fruit often results in juices wicking up into the topping, making it soggy. Precooking the fruit stabilizes and thickens the juices just enough to avoid this problem. Yes, doing it this way adds a step. But it’s a step worth taking if you want to create a blue ribbon result. Your peaches will need to be peeled; you don’t want any fuzzy skins lurking in your filling. Here’s an easy way to peel them. I can’t back this up with any science, but another step I take – and one I think creates a perfectly jelled filling – is using both cornstarch and a tablespoon of finely ground instant tapioca to thicken it. You can read more here about why I do this, but if you’d rather skip the reading, you can make your own finely ground tapioca by running 1/2 cup or so instant tapioca through a (clean) coffee or spice mill, or even a blender, until finely ground but still a little gritty. Store it in a jar, and use it whenever a fruit pie recipe calls for tapioca. 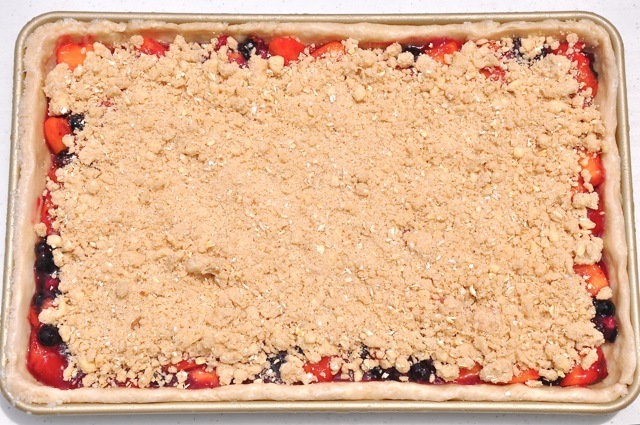 Oven preheated, the fruit goes into the chilled shell and your crumb topping is scattered evenly over it. 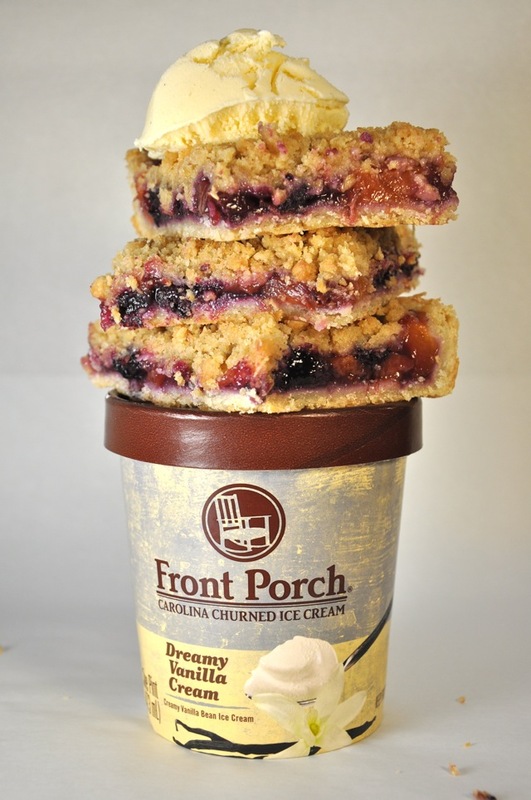 We use an oatmeal topping because the oats give our pie such a gorgeous, wholesome appearance. Let’s talk about baking: I like to start this slab pie closer to the bottom of the oven – not the lowest rack, if it’s too close to a heating element, but maybe one setting up from there. The intense heat in the lower part of your oven will help “set” the crust quickly and yield a nice crisp, flaky crust. After 30 minutes I’ll usually move it up a little, into the middle of the oven, and finish baking the pie there. Keep an eye on the topping and if it starts to get too brown before the pie seems done, lay a long piece of aluminum foil over the top. That’ll slow down the browning. As with other fruit pies, you should see some thick bubbly juice here and there in the pie when it’s done, and not just at the very outer edges. Under-baking the filling is probably the #1 reason fruit pie fillings don’t end up with the the right “set” or consistency. Total baking time is about 45 to 55 minutes, give or take. You may be wondering if you can make a double crusted slab fruit pie and the answer is an unequivocal yes. I’ve got one on the drawing board that you’ll find here this fall. Until then, if you want to give it a try you’ll need to make a second batch of the slab pie dough, roll it out, and drape it over the filling. Press the edges to seal, then make a pretty crimped edge of your choosing. Should you precook the filling if you’re using a top pastry? You probably don’t need to, but since I haven’t tried it I’m not certain whether precooked or uncooked would work out best. If you do try it, let me know. I’ll be experimenting more in the months to come and will publish my results. Meanwhile, I hope you enjoy baking this slab pie. They’re fun “project” pies – with many advantages over traditional pies – and we’ll be doing lots more of them in the future here at The Pie Academy. Stay tuned. Prepare the slab pie dough, as directed. Roll and line your jelly roll pan with it. Refrigerate for at least 1 hour. After several minutes, when juice has built up in the pan, increase the heat somewhat and bring the fruit to a boil. Cook at a low boil for 2 to 3 minutes, until the juice is thickish. Remove from the heat and transfer to a large bowl. Stir in the lemon juice. Sprinkle on the tapioca and stir it into the fruit. Set aside until cooled. Prepare the topping: put the flour, oats, sugar, brown sugar, salt and cinnamon in the bowl of a food processor. Pulse several times, to mix. Remove the lid and scatter the butter over the dry mixture. Pulse repeatedly until the mixture has a sand-like consistency. Dump the crumbs into a large bowl and rub between your fingers to make fine, evenly-textured buttery crumbs. Refrigerate until needed. Preheat the oven to 375°. Transfer the cooled fruit to your slab pie shell; smooth with a spoon. Scatter the crumb topping evenly over the fruit. Bake the pie on a lower oven rack for 30 minutes. Move the pie up to the middle of the oven and bake another 15 to 25 minutes, until the fruit is bubbly and the topping is golden brown. Cover the topping with foil if it starts to get too dark. Transfer the pie to a cooling rack and cool for at least 30 minutes before serving. Once the pie has cooled thoroughly, cover loosely with plastic wrap and refrigerate. Let the pie come to room temperature before serving, or reheat individual pieces in a 300° oven for about 10 minutes. Makes 12 to 15 servings, perhaps more.